Access Training Atlanta | Tables, Queries, Forms, Reports, etc. 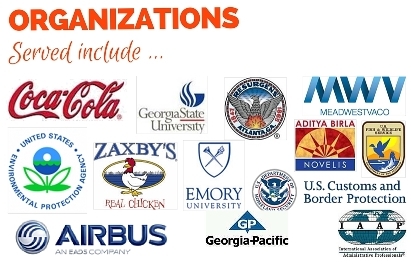 All of our Atlanta Access classes are taught by subject matter experts. Group Training - Group classes provided at your location or at an off-site computer lab. We use locations in Tucker and Marietta, GA.
Can't attend our public classes? Want us to bring Microsoft Access training to your site? Interested in attending this training online? We offer affordable, customized training for groups of as few as 4 people. Contact us or call 770.498.7333 for details. Learned a lot and if the need arises for me to take another software class I will look to Jackie first! Follows up on all questions, at times gives better examples and presents in a better order shown in the books. Easy to follow. Thank you for an excellent job! The instructor, Jackie, was organized, efficient, and willing to extend her instructional services even after the class was over. She did an excellent job showing her mastery of the ins and outs of Microsoft Access. But most of all her cooperative attitude and her enthusiasm while instructing us must be commended. This course is a follow-up to the Access 4-day Intensive and is designed to teach the skills needed in order to program databases in Microsoft Access. Day 1 is an overview of Access advanced concepts, including Macros, query functions and form and report properties. In Days 2 – 4, participants will learn how to use SQL and VBA to automate their databases. A comprehensive MS Access 2013 course, covering Access tables, queries, forms, reports and more. Curriculum approved as preparation for certification. At least $200 less than comparable courses. Intro (2 Days) Intermediate (1 Day) or Advanced (1 day) Class. 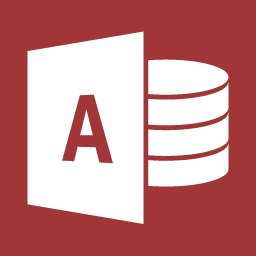 Master the essentials of Microsoft Access in this 2-day course. Offered for versions 2007 or 2010, this course teaches beginners the skills they need to be confident and comfortable building Access databases. Learn the essentials: how to build databases, queries, forms and reports. Also includes follow-up support (a $199 value), so that you can get help on your specific project. Instructor has 20 years of experience. $150 - $200 less than comparable courses. A comprehensive MS Access 2010 course, covering Access tables, queries, forms, reports and more. Curriculum approved as preparation for certification. At least $200 less than comparable courses. A 4-hour in depth exploration of MS Access tables. 95% of the time the reason for a "database gone bad" can be traced to one source: Database Design. Creating a database without paying keen attention to design is like building a home without using a blueprint. Attend the Access Database Design Bootcamp to learn practical, common sense design skills. In this course, expect to learn how to translate business questions (ex., how many of our regular donors didn't pledge last year) into powerful queries. You will also learn how to Access 2003 select, update, delete, make table, and append queries. Why attend our Access training courses? Access database skills are in high demand, and employers are willing to pay higher salaries for employees with advanced Access skills. Representatives from the non-profit, legal, education, management consulting, health care, and real estate industries have attended our Access training courses. After completing this course, you will be able to save time and extend the capabilities of your Access databases. Your instructor has over 15 years of Access database development experience, and can provide real-world training. No boring theory. Instead, we'll use case studies and hands on exercises. Please bring your laptop to a class. Enter your fee to pay via PayPal's secure server using your credit card. For our complete course calendar of computer and software classes offered in Atlanta, please click here. The class was very well taught and held my attention to the very end. Even after the class was over, Jackie has been an invaluable resource by showing her continuous quest to ensure that Microsoft Access is demystified. And last but not least, Jackie's level of professionalism when dealing with questions on Microsoft Access and her efforts to go beyond the call of duty to ensure that class participants thoroughly understand Microsoft Access has left me with a great admiration of her technical skills. Would you like to receive fr*ee Access Tips & Tricks by email? Sign up here. We never rent, sell or share your email address. Want to know when the next Access training class is scheduled? Want us to bring a course to your location? If instructor cancels class, students will be issued a full refund. If a student cancels registration, at lease one week prior to class, instructor will issue a refund less $85 or 15% administrative fee, whichever is greater. No refunds will be issued if student cancels within a week of class; student will be issued a credit good for 90 days.